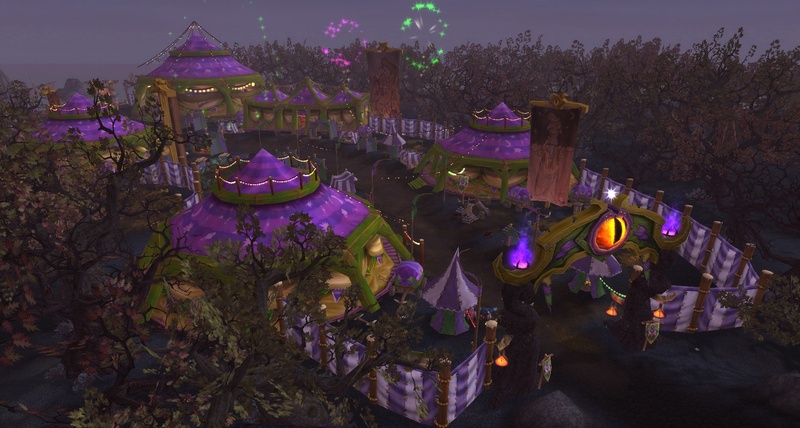 Wowhead recently posted a short editorial about the state of holiday's in Wow. This piece also included some nice tidbits about holiday's in the past. I remember myself the joy and wonder of logging onto WoW each holiday to grind some quick XP on alts, work on the "long strange trip" achievement and fight the season's boss to hopefully get their unique and awesome item. Sadly now that I have two at max level, the achievement is completed and account bound, and boss drops are lower than LFR and dropped (Timeless Isles) gear, why bother? How about a holiday revamp? Valentines - Jaina shows up at Thrall's house complaining about how he never visits anymore now that he's married to Aggra. We are sent in to stop the fighting. St. Patrick's - All gnomes are accused of hiding pots of gold under rainbows. Get rainbow generator to find the gold. Halloween - go sit in pumpkin patch and wait for the Great Pumpkin to appear. If you find him, he drops candy and toys for everyone. Ground hog day - 1 person scenario, like training grounds, where if you manage to kill the groundhog boss, he buffs you with a 'early spring' light over your head. If you don't, rain cloud follows you around for day. New Christmas boss - Krampus slowly bags members of your team. Wipe if you're all bagged. Warlords - Achievement for putting 250 strands of miniature lights on a single building in your garrison. So, any other holiday traditions you'd like WoW to honor? How about changing out the bosses?